Choosing a wedding photographer can be very confusing! So I wanted to share this independent guide with information that may help you choose a wedding photographer. 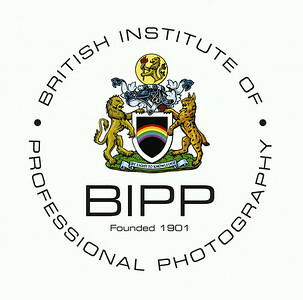 Feel free to view and download this impartial guide from the BIPP (British Institute of Professional Photographers) on helping you in choosing your wedding photographer, hopefully helping you to get the very best images from your special day, by a professional photographer. - Support from me with advice / guidance if / when you need it. 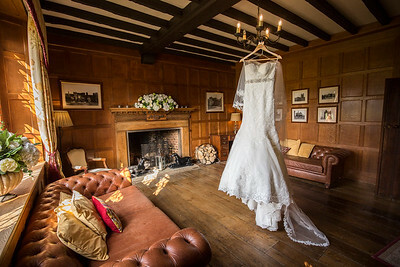 - A pre-wedding meeting - if possible at your chosen venue to run through the day in greater detail. - Coverage of the preparations - most photography collections have 2 photographers included as standard. - Unlimited images taken on the day. - A proof book with most / if not all of your images for you to keep - something physical you can hold and keep forever. - A selection of your photos in an online slideshow to share with family and friends. - A fully licensed USB with ALL of the images from the day. - We will keep your photos online for three years for your security, free of charge. I know it always sounds a little bit of a cliché, but the photos from the day are probably the only memory you will have from this very special day in years to come, so I like to think the photography needs to be considered as an investment. To me, as a photographer, there is nothing better than looking back through old photographs, sometimes years after the event. I can look back through my own parents and grandparents wedding photos / albums with the nostalgia and memories of my family. Digital photography has had a massive impact, we can now take in excess of a 1000 images at a wedding offering the clients a range of high quality products, which is amazing. With our meetings we can take our time, I can talk you through the many options available to you on the day. I know we have to be aware of our budgets, but if you can, definitely have something in print, something you can physically hold and share for many years. Can you imagine in 20 or 30 years you giving your children or grandchildren a DVD or USB (that they probably won't have the equipment to use them) of your wedding images. Alternatively you could give them a high quality album or even a bundle of old photographs. There is a large range of wedding album options available to all my clients, from something a little more traditional like the Original Story Book, the more modern feel of the box Young Book to something a little more informal with the Primo Book. The Primo Book can hold most, if not all the images from the day, in one large luxury album. All the wedding albums I use are of the highest quality, each one is handmade in Italy by Graphistudio and comes with a lifetime guarantee. After the wedding day, we will design your bespoke album together to ensure its perfect for you before we send it for printing. Customising this with the cover and ennoblement of your choice. Its sad that after the wedding day, most brides will never wear their dress again, which is a real shame. What better way to remember the day than to look through your wedding album, this will be looked at many times over the years by you and your family. Possibly by your children and your children's children long after the wedding day. I am passionate about my photography and I constantly want to current and up to date with new techniques investing in my business and in my professional skills. For me that means having the best possible equipment which is regularly serviced, as well as having sufficient back-up kit, plus access to hire equipment as a further back-up. At a typical wedding I actually carry three cameras, just in case. 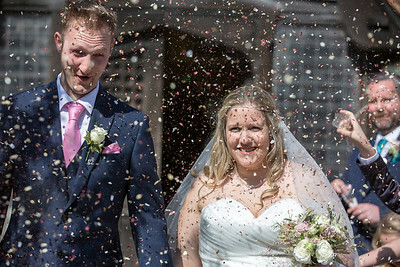 I am also part of a network of photographers in the Essex / Suffolk so that should you if you require more than two photographers, I can hire someone who also specialises in weddings. Additionally creating those partnerships with other professionals means I also have a network to call on in emergency situations. Whilst I already have a number of professional qualifications in photography, I regularly invest in further training so that I can continue to grow and develop my skills. I dont believe you are ever too old to learn new skills. Your images are safely backed up in both online cloud storage and on RAID hard drives, so there’s no need to worry if you accidentally delete a photo. I also have full liability and indemnity insurance, in addition to investing in a secure storage facility for my equipment so that it’s safe when I’m away from home. I invest time with all my clients, I like to really get a good understanding of your day and your preferences and I’m there every step of the way. For weddings I may be able to offer help and advice as we have done this a few times. We’ll meet up a number of times before your wedding so you can be sure of a great experience from start to finish as well as having lots of gorgeous photos to cherish after your wedding.